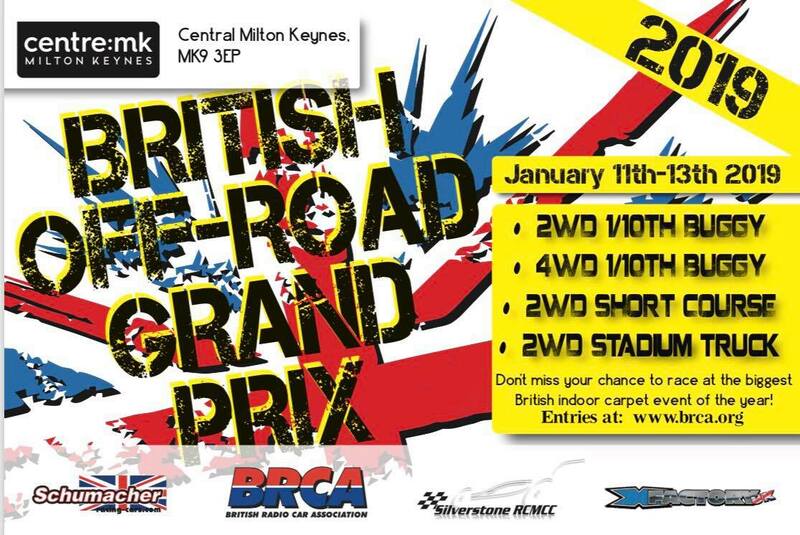 The BRCA 1/10th Off-Road Section run a prestigious one off event each winter. This event was previously known as British Winter Open Championship. The 2WD event will be run on Saturday the 4th and the 4WD event on Sunday the 5th of Febuary. A perfectly timed event, that allows racers to compete with any new cars or equipment and certainly great preparation towards the forthcoming season. Doesn’t time fly; we are already in the 2015 season! All us experiencing some great weather conditions leading up to this event with temps up to 22c in places. Everyone is looking forward to kick-starting their season. The first event of 2015 will be held at Robin Hood Raceway in Blyth. This lovely venue is also holding the European 1/10th Championships later this year and with 2 tracks on site, the organisers have been extremely busy to say the least. Kidderminster Radio Control Car Club is one of the oldest National venues in the UK. Founded in 1984 in the towns car park! The club became popular with its central location. Growing bigger and bigger it moved from a car park to its current location. The track was redesigned to its current format around 1994/5. Many great events have been held here. Some would say legends of our sport competed here on their road to glory. This is round 2 of the national championship and another venue making huge efforts to be ready for the event. Kiddy as its known is an undulated track with plenty of technical sections. No big air jumps here but plenty of small hop jumps and bumpy sections too. The cars have to be on song here. Another great track to test the skills of the very best in the land.